The Gambia National Olympic Committee (GNOC) first Vice President Miss Beatrice Allen has been appointed in four International Olympic Committee (IOC) 2017 commissions. The IOC yesterday announced the revised composition of the IOC commission’s for2017, marked by an increase of 70 per cent in female participation since September 2013. The commissions also reflect a broader geographical representation and include a number of new faces from a new generation who will be the leaders of tomorrow. Miss Allen who has been an IOC Member since 2006, served in three commissions before and her appointment in four commissions demonstrated the trust, commitment and leadership qualities shown during her 10 years tenure as IOC member. – Women and Sport (2004-2015), Culture and Olympic Education (2008-2015). -Association of National Olympic Committee of Africa (ANOCA) women in Sports Commission, is now been appointed in the IOC Public Affairs and Social Development through Sports Commission. She will also serve in IOC Women in Sports Commission, the Olympic Education Commission and as well as the Sustainability and Legacy Commission. 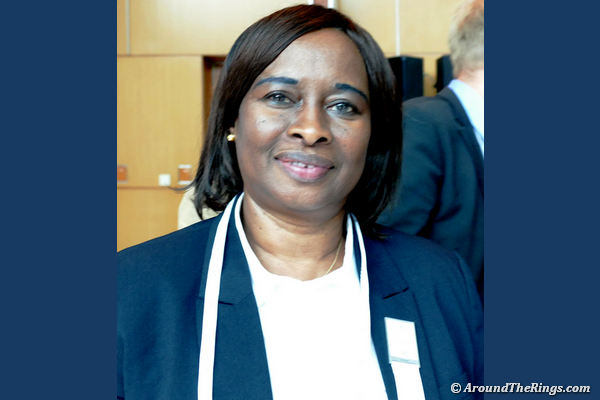 Beatrice Allen, who has been first Vice President of The Gambia National Olympic Committee (GNOC) since June 2009, has seen her IOC membership extended to 8 years in 2014. President Bach has significantly increased the number of women appointed to a commission since his election, with 38 per cent of places now taken by women – a historic high. That is a 70 per cent increase since 2013. In 2017, 29 more positions are held by women across the 26 IOC commissions than in 2016, and female members are present on each of them. Increases in the number of members from America, Africa and Asia were also heralded, guaranteeing a “more global and diverse continental representation”, it is claimed. New Zealand’s Barry Maister has also been appointed the new chair of the Olympic Education Commission to replace Britain’s Sir Philip Craven.Sir Philip is due to stand down as President of the International Paralympic Committee and vacate his IOC membership in September. “These changes are aligned with the implementation of Olympic Agenda 2020 and show that a stronger participation of women and a more diversified continental representation are our top priorities,” said Bach. “The diversity of members guarantees interesting and more inclusive discussions and reflects the Olympic Movement’s commitment to universality. Listening to youth, entrusting youth and empowering youth is needed more than ever in the world of sport. “This will contribute to keeping tomorrow’s sport and the Olympic Movement as a whole relevant, inspiring and impactful.”We need to mentor and nurture the next generation of sports leaders. “This recent move is a positive signal and message for the entire movement and world of sport.” IOC President noted.